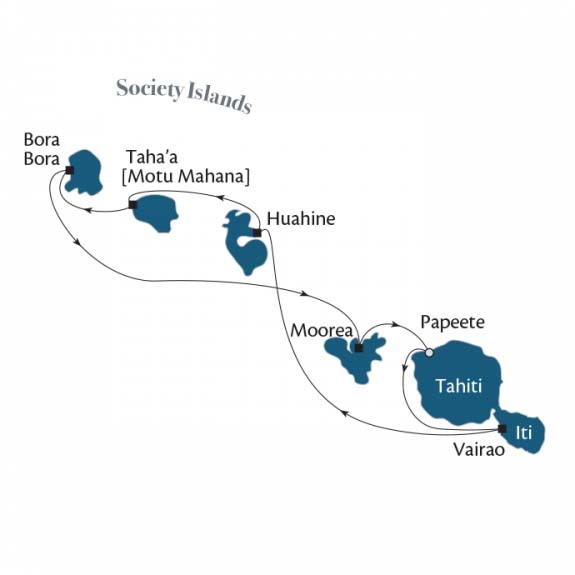 Live the life idyllic with a memorable day on Motu Mahana, Paul Gauguin’s own private slice of paradise. On this exclusive islet, treat yourself to sand between your toes, the shade of swaying palm trees, a sumptuous barbecue lunch, and, of course, drinks sipped from coconuts. Prices are per person based on double occupancy, availability, include 50% off standard cruise fares and subject to change without notice. Single supplement pricing is available upon request. Economy class airfare from Los Angeles is included, air add-ons from home city are available on request. Air credit for non-use of this promotion is $1,600. Port, security and handling fees of $149 per person are additional. Pricing for the third guest in the same stateroom is as follows: 17 years old and under, FREE; 18 years of age and older, $125 per night. Third guest is cruise-only; air and taxes are additional. Other restrictions may apply.